2018 delivered more than what I anticipated. The year began with my last semester at the University of Melbourne which turned out to be busier than other semesters – I volunteered as a media officer at Red Cross Australia and writer for the Students’ Association of Management & Marketing at the university. Throughout my journey as an international student at UniMelb, I kept looking for ways to share my story. This wound up taking shape as a side project called Humans of UniMelb that continues to publish inspirational student stories. An advocate for personal branding, I realized that students wanted to know the stories, accomplishments and hardships of the ones before them. While to some, stories might help answer questions, to others they may serve as motivation. One of the most rewarding internships, my stint at Catch Group lasted 8 months. It was a great space to work in as I got to get my hands dirty with creating SEO-optimised content for the Catch website plus their sister website Brands Exclusive. After two years of assignments, deadlines and an unhealthy consumption of coffee, graduation day finally arrived. My dad and his partner flew in all the way from Morgan Hill, California for a 12-day road trip across Australia. As I reflect, time spent at university has been more about exploring evolving marketing concepts than just reading up on existing campaigns and strategies. I grew closer to understanding the DNA of marketing and communications as I dived into topics like sensory marketing, information vacuum in social media, and the ever-changing face of digital advertising. Towards the end of October, I landed a job at Choice Hotels Asia-Pac. I consider myself lucky to have such a diverse and ambitious team to work with. The future of my profession is undeniably experiential marketing. We are increasingly integrating it with our everyday life, the most recent instance – Netflix’s interactive movie, Bandersnatch where we get to ‘choose our own adventure’. It truly is The Age of the Consumer. Not that it ever wasn’t. But today, consumers aren’t just consuming what brands give them, they have a voice and appreciate a sense of real connection with brands. Choosing a brand is personal and consumers want to make sure they choose one that listens to them, represents their values, and validates the content they create. Despite the large number of international students in Australia, there is a significant lack of information about the employment market. In fact, almost everyone that I’ve met on my post grad journey in Melbourne did not know what to expect after graduation. How long will the post-study visa last? Are there companies hiring people on this visa? Since career portals like Seek and Indeed are full of jobs seeking candidates with Australian citizenship or permanent residency, these questions quietly haunt the minds of international students. When I applied to the University of Melbourne, all I researched on was the reputation of the institute and the availability of my course. I hadn’t spoken to any professional in the marketing industry who had graduated from UniMelb (or any other university) who would give me an insight on how the job market was doing, especially for international students. My focus had been on getting my master’s degree ticked off my list but now that I was studying in Melbourne, I had to start thinking about the possibility of gaining work experience in Melbourne. In the duration of my two-year course, I reached out to a few alumni through LinkedIn – but received no substantial response. On the other hand, I did find LinkedIn useful in getting one internship in New Delhi and one in Melbourne. There’s an obvious gap between international students, alumni, and especially those who get work here Down Under. So, I thought I’d share my story – hopefully giving you an idea of how to navigate your way through the job market in Melbourne. But before I get to what I learned while looking for a job here, I should emphasize on how you, as an international student, must reach out and grab opportunities in your university. It could be a club, a journal, a volunteer position – everything you do in uni counts. Every university has its own career portal and resources that aren’t necessarily highlighted – you need to be looking for these. If you’re passionate about a subject or topic, this is the time to connect with like-minded people including peers and professors. And since we’re talking about connecting with people, I may as well add how important it is for every university student to have a LinkedIn profile. Keep your online CV updated, be part of discussions and explore industry trends. LinkedIn is not only a great way to stay connected with people you meet at university, but also a fabulous way to build your personal brand. For international students looking for a job, I found this article by Jack Gaffney extremely helpful. Current University of Melbourne students can also take a look at my top 15 tips here. Click on the ‘resources’ section here and dive into a world of websites that will help you get started. It’s no surprise that the number of international students in Australian universities is on the rise. Needless to say, there is an explosion in the number of graduate visas. There’s a reason why this is the number one on my list. A great way to start networking is by getting involved during your good ol’ uni days. While university projects connect you to peers, internships and part-time jobs give you a chance to get to know your potential future employers better. At the end of the day, connections made through these routes make for much-needed quality references to give your future employer. Additionally, check out these tips on how you can prepare yourself while looking for work in Melbourne. Every country has a different idea of what a CV should look like. I’ve literally edited my résumé a bajillion times since my time in Melbourne. After adapting it to a friend’s CV, I went on to get tips from specific seminars held to guide students on how to optimize and design CVs better. Your CV is how you make your first impression, so make sure it’s a good one. Starting with stating your career purpose, recent employment history – make sure you highlight your achievements at uni or at an internship. There are several recruitment companies in Melbourne that you should connect with. You can either try connecting with recruiters on LinkedIn, or directly apply to a job they’re seeking candidates for on their respective websites. Meeting them in person is a step closer to differentiating yourself from heaps of resumes they receive every day. Not just that, but recruiters also provide helpful tips on how you can make your CV better. A total win-win situation. Don’t forget to dress for success. You got your first interview – now what? One of the many amazing recruiters I met told me to take examples of my work to my interview with a potential employer. Isn’t it just a fantastic way to wow people with what you’ve been up to? A great way to showcase your passion, print out your best work and be equipped with examples when you’re being interviewed. Another great pointer is to ask your interviewers relevant questions towards the end of the interview. Not only does this help you get more information about the role you’re applying to, it’s a great way to show your enthusiasm as a candidate. Moreover, be honest about your work experience during the interview. I cannot emphasize on how much your communication and professional skills matter. Coming from another country, note that people here in Australia deals with things differently. For instance, the time it takes to get a response on an email or getting a call from a job you applied to – while some people might ask you to get in touch in a few days, others can take months – make sure you don’t come across as pushy. Nobody likes that. Your uni days are the perfect time to start building your personal brand. Although it takes a considerable amount of time for your brand to gain traction, it will definitely be worth it by the time you’re looking for a job. To be completely honest, I didn’t think it would be as hard as it was. I knew it was going to be an adventure but not as crazy and unpredictable as it turned out. 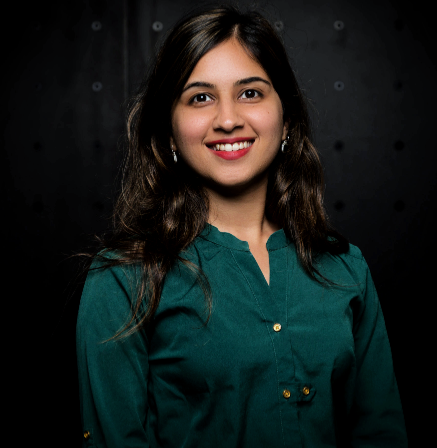 I left my amazing life in Delhi to pursue my dream to study masters abroad. By the time I was applying for a master’s degree in Hong Kong and Australia, the want to finally get the higher studies box ticked off was too much to handle – even for me. My boss, my manager, my close family were all questioning it. But in my mind, it had turned into something that just had to be done. I had loved working as a communications manager and I was now ready to, in fear of sounding cliché, expand my knowledge. Some of the regular readers know I almost quit college after my first semester. It definitely wasn’t easy, and so, to help future students out – I thought a list of tips would be helpful for future students at the University of Melbourne. One of the top reasons why prospective students apply to the University of Melbourne is because of its ranking. Just this year, it ranked 32 in the World University Rankings. When I was looking to apply for a master’s degree, I did the same, unaware of the many factors that go behind deciding these uni ranks. I recently read an article by Maggy Liu in Farrago Magazine where she mentions the university’s less than perfect results in surveys that take into account – student support and teaching quality. 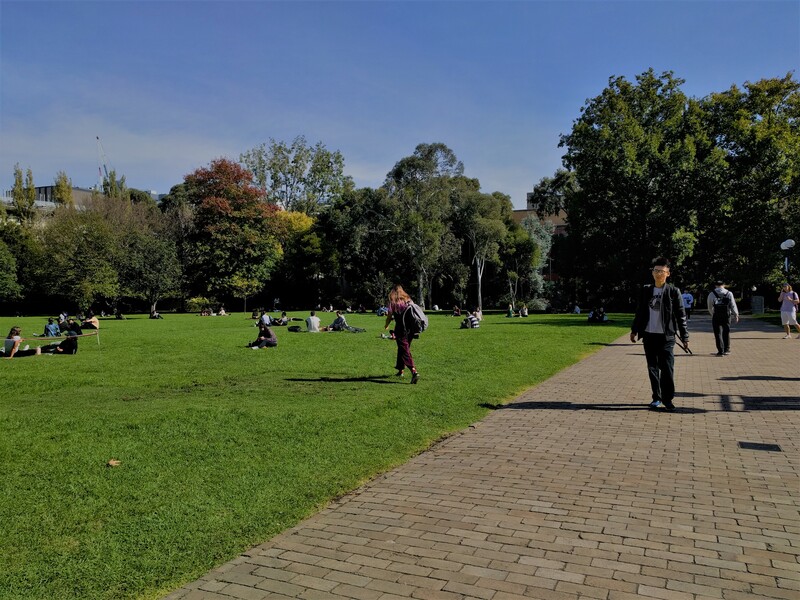 Just like any other university, the University of Melbourne has areas where it can improve and continues to work towards its development. One of the many common questions I get asked by international students is about scholarships. There’s a tiny window of opportunity here and checking out this and this will help you find out more information.